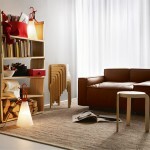 Designers keep creating new and new stylish space-saving furniture designs. 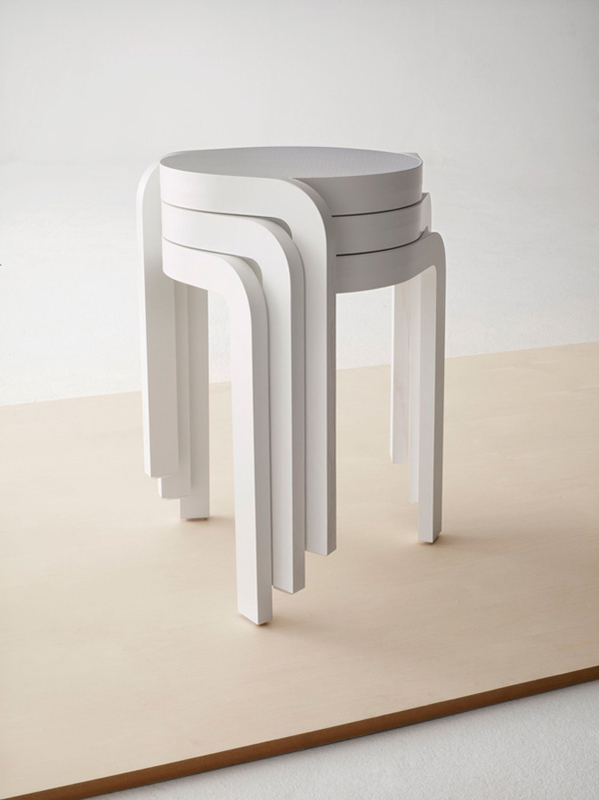 This stackable Spin stool by designer Staffan Holm is a pretty and stylish seat that can be easily stored while adding structural detail to the decor. 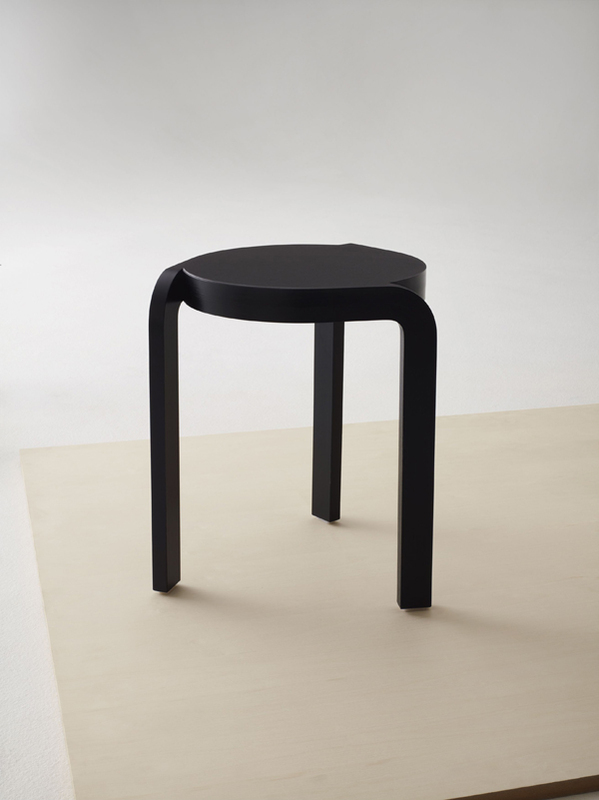 Spin stool designed by Staffan Holm is a stylish award-winning seat with rounded legs. 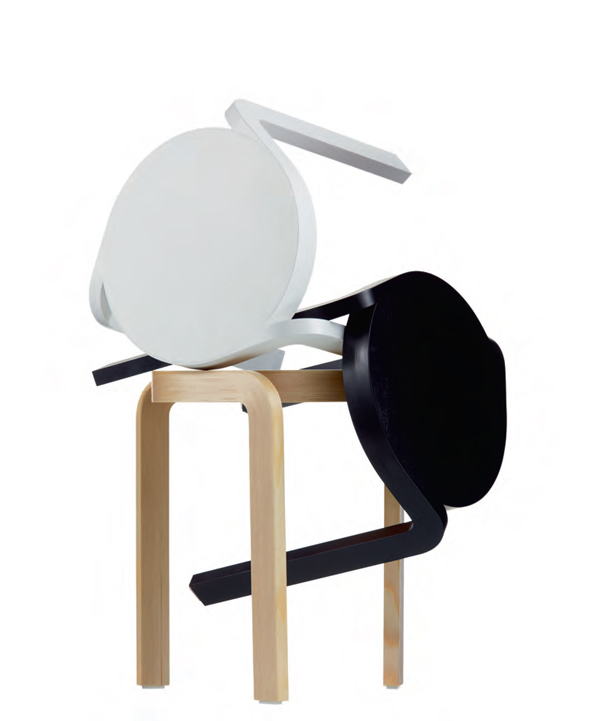 A stackable seat comes in black, white, and natural wood finishes and looks both modern and elegant. 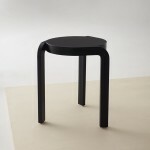 The rounded stool with bent legs bring in the unexpected twist into this common everyday object. 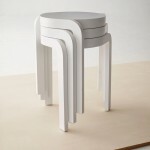 Spin looks great as a seat and due to its design it looks just as great when stacked. 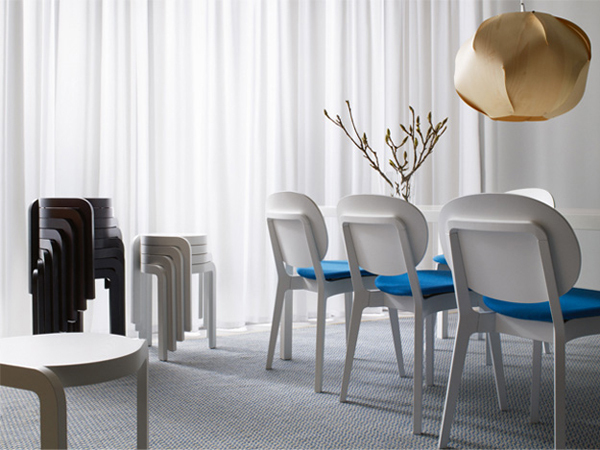 The rounded bent legs create some sort of pattern that adds detail to the room. Spin can be easily stored in any quantity without taking up much room. 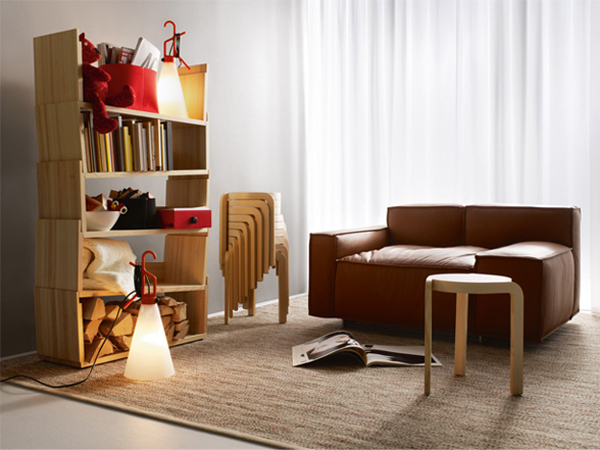 Stylish and space-saving!